1. You may have missed the link I posted above. It looks like it may be possible. 3. You can adjust the size of the frames but they both need to be the same size on both sites. This is done in the first line of code where it says "width" and "height". Play around with different sizes and link placements. 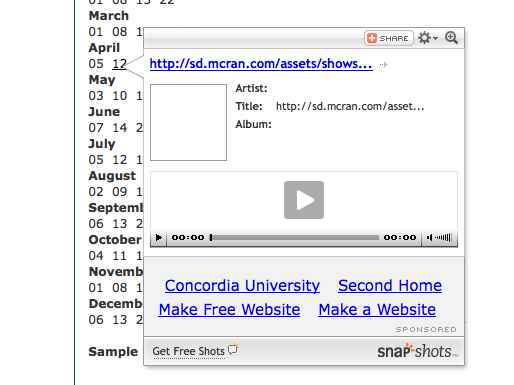 Remember the snap shot gets cropped if the links are to close to the edges. 4. You can create as many pages on the test site (hosting site) as you want. Each option value must reflect those (hosted) pages that you want to display. The option values are the ones that are displayed in orange in the site builder. Each option value has a URL of the link you want to display and a text portion that will appear in the drop down. Hope that all makes sense. Thanks Boomer. Can you send me the code you used for the 2009 list. I would imagine all I have to do is create a new page (iFrame2009 for example), and then paste the code in an HTML widget? I'm still trying to wrap my head how I can use this for my playlists as well as the radio shows. Just not sure where the code goes. Can I put for example, 2008 and 2009 in one frame. Thanks for your patience Boomer. I will see the light shortly :) I hope. 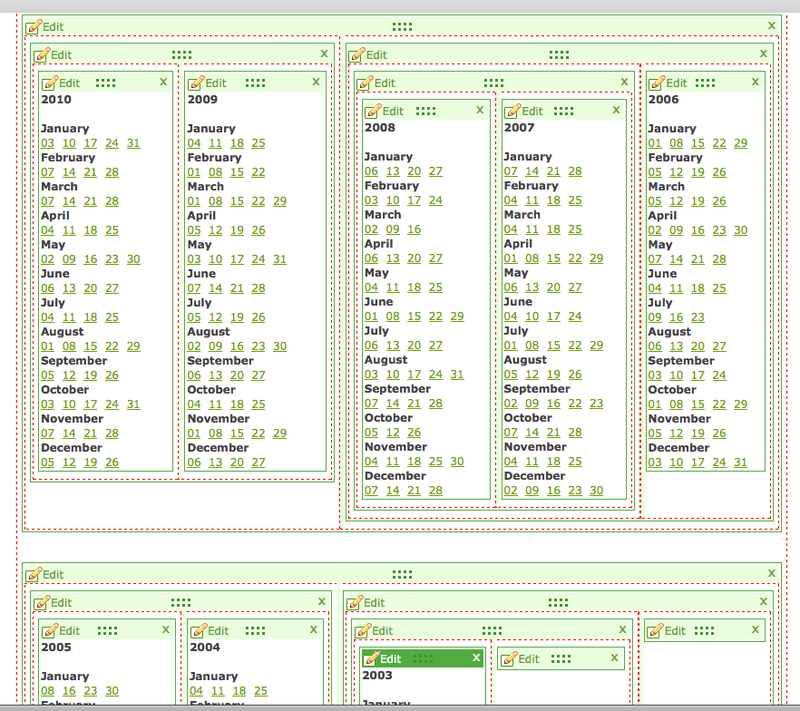 If you want to put 2008 and 2009 in one frame you will have to use tables. Try changing the iframecode to 863px as well. I changed both to 800 and it doesn't seem to work. See my testpage2 page at www.mcran.com and select the playlist2009 option from the drop down menu. Thanks Boomer. I didn't even notice that. Is there a way to have the iframe without the window that appears when you hover over an item?